night-terrors haunted her. She longed to be free of fear. Rieka lives in a neighbourhood in South East Asia where there are no known followers of Jesus. How could she ever experience the hope and freedom that she craved? Well, an unexpected conversation with a worker from Global Interaction’s Education Foundation led Rieka to a job teaching there where she saw staff read the Bible and pray together. Although deeply suspicious at first, she wanted to know more. One night Jesus appeared to Rieka in a dream. A few nights later when a night-terror struck, she prayed in Jesus’ name. The terror left her. Rieka was overcome with joy. Over time her faith grew and on Christmas Eve, she asked be baptised as a follower of Jesus. Rieka is now part of a small but growing community of believers in her part of the world. They want to share the gift of Jesus with their families and neighbours. Many years ago, Jesus met a woman by a well. Life weighed her down. He offered her the ‘living water’ that her thirsty soul longed for. Today, there are millions of other men and women around the world who like Rieka are searching for hope, thirsty for ‘living water’. Global Interaction workers are a catalyst for the Good News in communities across Asia, Africa and Outback Australia where there are few, if any, believers who are prepared to cross religious or cultural boundaries to share this gift of life. You can be a vital member of this team. Your gift will mobilize Global Interaction workers to go to communities like Rieka’s. Join us in sharing “living water” with those who are thirsty for life! The leader of a Hindu temple in Indonesia needed a special duck to sacrifice to one of his gods, as a protection against disease. Then he met a Christian ministry leader. ‘Can you help me find such a duck?’ the Hindu priest asked. The Christian ministry leader seized the opportunity. He explained the role of animal sacrifices in ancient Israel and how they were no longer necessary because the blood of Jesus Christ is the perfect, final, and sufficient offering for the forgiveness of sins. He also cited a passage from the Hindu scripture Bhagavad Gita, explaining that the life of God is the only sacrifice needed. The Hindu leader was stunned, returned many times to ask questions about Jesus, and now calls himself a believer. Hindus represent only 1.7 percent of the population of Indonesia, while 87.2 percent are Muslim and less than 10 percent are Christian. Last year this indigenous Christian leader saw 54 people decide to follow Jesus, and 13 were baptized. The ministry conducts outreaches in Central Sulawesi, Bali, and other islands, and trains evangelists and pastors. As a result of their outreaches, they have seen teenage children changed and entire communities transformed. China is facing an abandoned baby crisis as parents walk away from children born with physical disabilities. One Chinese couple, however, saved a child and called on God to do a miracle. For seven years Fu Chun Zhi and his wife Xiao Li tried to conceive a child. 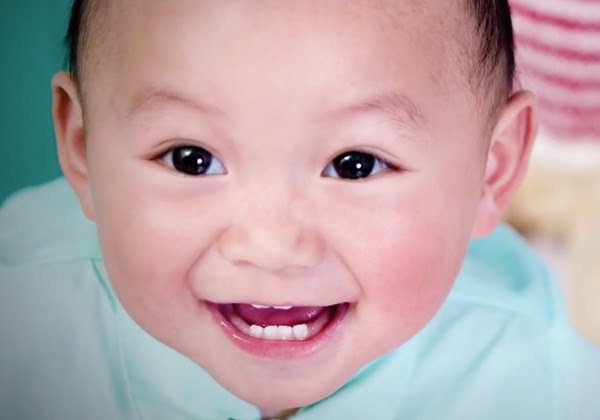 Finally, in 2011, they decided to adopt an abandoned baby and the Christian couple was thrilled when they found the perfect baby at a local orphanage. “As soon as we got the phone call, we were so happy. My wife and I couldn’t wait to see this baby,” Zhi said. In the midst of their happiness, they received disappointing news. The baby was born with a small tumor in his mouth and was not able to eat and drink. “We didn’t know what to do. We wanted to keep the baby, but meanwhile, the cost for the surgery was so expensive,” Zhi said. Not only did God give an abandoned child a new home, but he also performed a life-changing miracle for an entire Chinese family.